Item # 312682 Stash Points: 5,995 (?) This is the number of points you get in The Zumiez Stash for purchasing this item. Stash points are redeemable for exclusive rewards only available to Zumiez Stash members. To redeem your points check out the rewards catalog on thestash.zumiez.com. 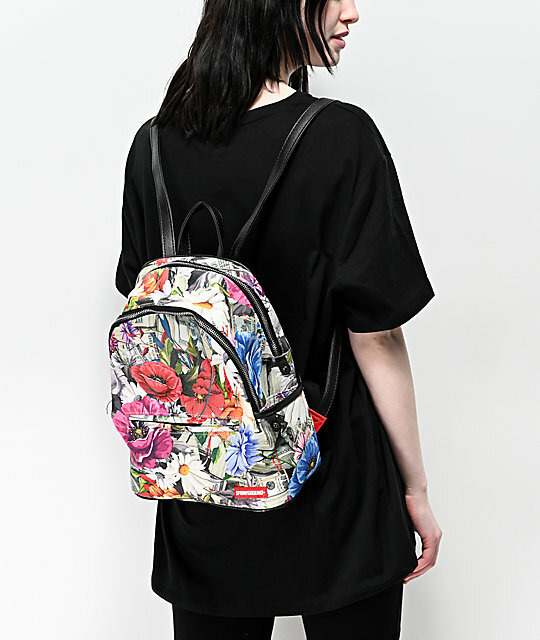 Grab a fun and fresh style this season with the Floral Money Mini Backpack from Sprayground. 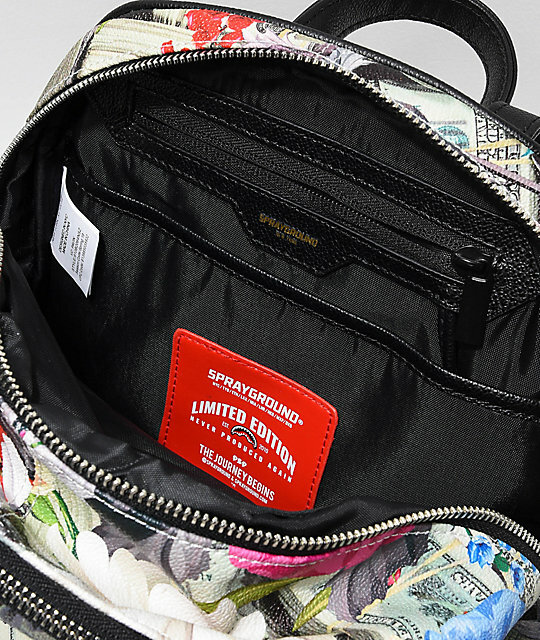 This mini-backpack from Sprayground comes in a durable faux-leather material that displays a colorful floral print, with stacks of money in the background. 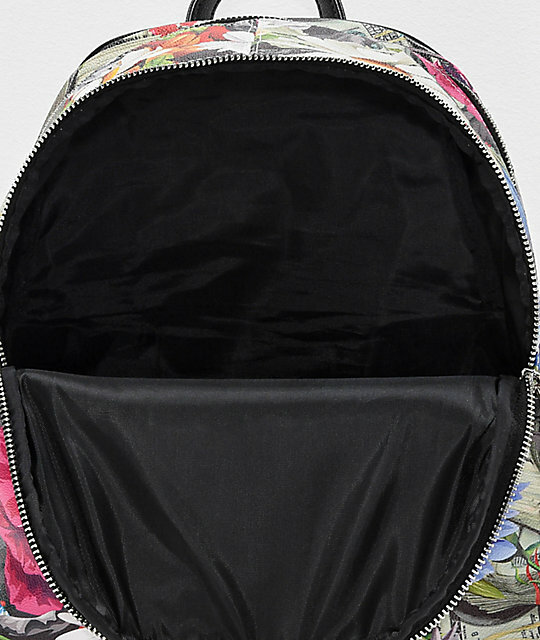 Silver zippers allow access to three roomy compartments, while the main compartment comes equipped with organizers, and additional internal zip pocket. 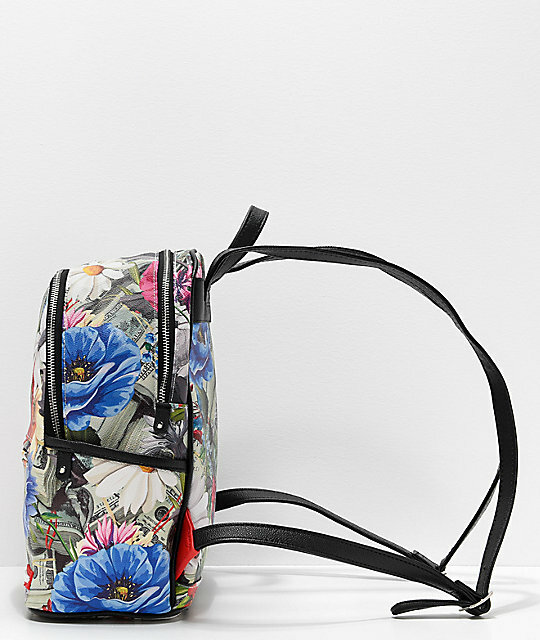 Adjustable shoulder straps complete this exciting design, creating a must-have accessory to carry all of your everyday needs. 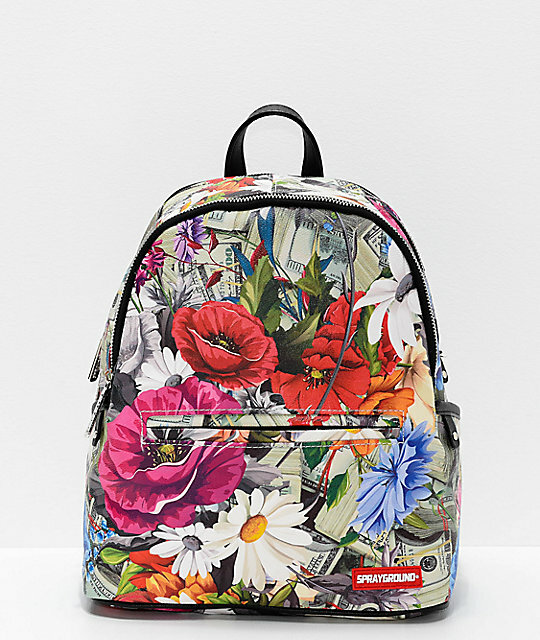 Floral Money Mini Backpack from Sprayground. 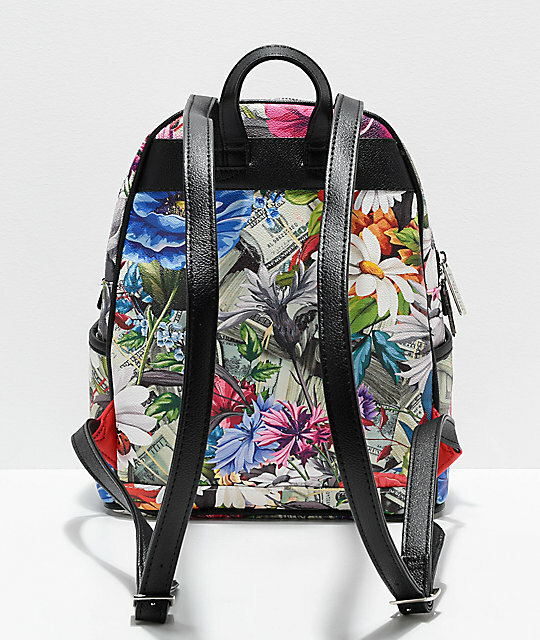 Flowers and money print throughout. Roomy main compartment with zippered pocket and internal organizers. Two external pockets with zip closure on the front. Rubber Sprayground logo patches on the lower front. 13" H x 10.5" L x 5" D | 33 x 27 x 13cm.